Yeasts play different roles in the decomposition of plant materials, actively participating as producers of hydrolytic enzymes or as transient fungi that use products released during decomposition by other organisms such as fungi and bacteria. Yeasts able to assimilate lignocellulose-related sugars are usually found in tree bark, leaf litter, and rotting wood, which are suitable habitats for these organisms. Many yeast species that are found in live or decaying plant parts are associated with insects that also use these habitats as feeding or breeding sites. Among the major clades of yeasts associated with rotting wood habitats, four are worth mentioning for their ability to assimilate/ferment lignocellulose-related sugars and/or to produce enzymes that act on this substrate: Scheffersomyces, Spathaspora, Spencermartinsiella, and Sugiyamaella. In addition to these clades, Candida tropicalis (Candida albicans/Lodderomyces clade) is a species that deserves attention because it is frequently found in decaying plant materials. Aureobasidium pullulans and basidiomycetous species of the genera Apiotrichum, Cutaneotrichosporon, Cystofilobasidium, Naganishia, Papiliotrema, Pseudotremella, Saitozyma, Solicoccozyma, Tausonia, Trichosporon, Vanrija, and Vishniacozyma are also frequently reported occurring in these substrates. 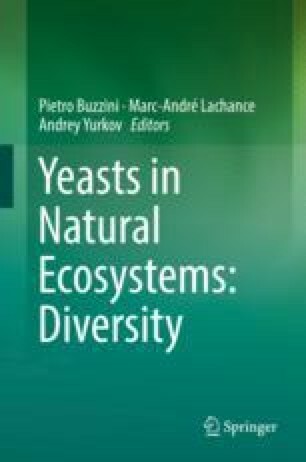 The physiological characteristics that allowed these yeasts to adapt to decaying plant substrates make these organisms interesting for biotechnological applications. We would like to thanks the Conselho Nacional de Desenvolvimento Científico e Tecnológico (CNPq) and Fundação do Amparo à Pesquisa do Estado de Minas Gerais (FAPEMIG) for their financial support.